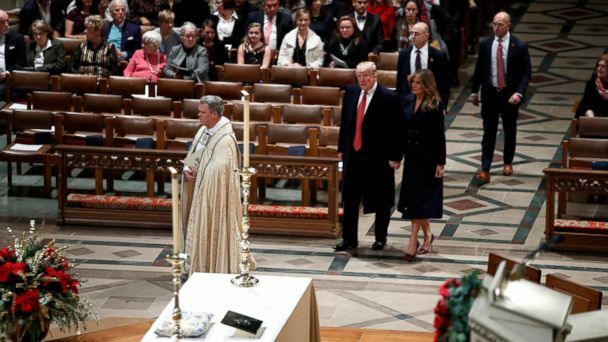 Follow the latest Melania Trump news, videos, and analysis from ABC News. 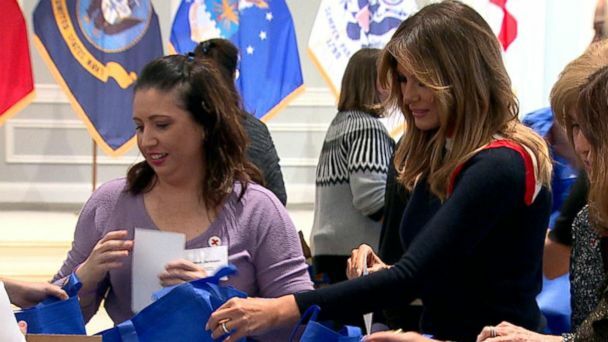 First lady Melania Trump embarks on a three-state tour promoting her "Be Best" platform. 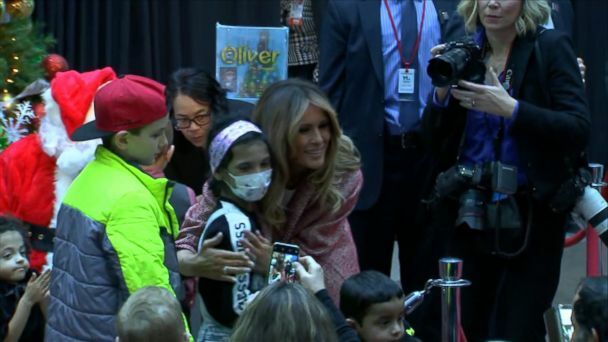 The first lady visited the Children's National Hospital in Washington, D.C., continuing a tradition followed by every first lady since Bess Truman more than 60 years ago, according to the White House. 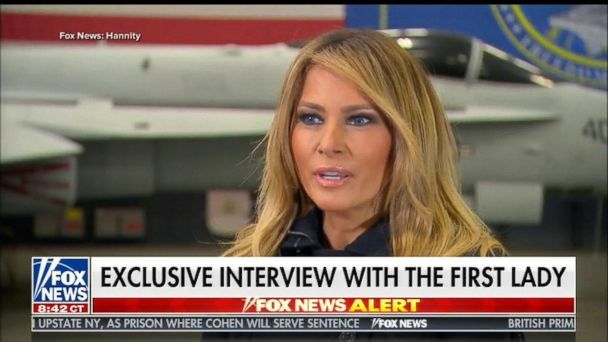 Trump made news in the interview that aired Wednesday, where she said the hardest part in her role was coping with people who she said frequently "use" her family's name. Melania Trump said in an interview on Fox News that she doesn't agree with her husband's "tone sometimes" and will advise against tweeting things out, "but in the end it's his decision." 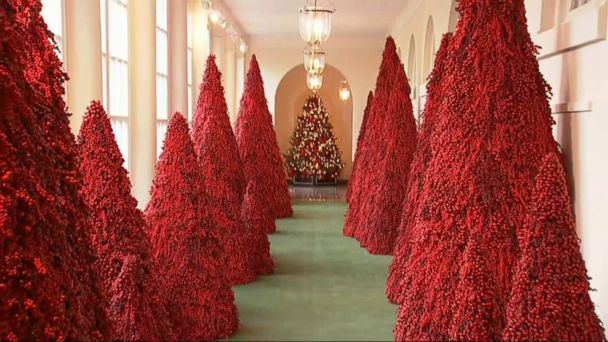 The White House's red Christmas tree decorations generated criticism online. This year's theme is "National Treasures," as Melania Trump's own personal touches caused a stir on social media. ABC News' Janai Norman reports. The first lady issued a statement taking aim at Deputy National Security Adviser Mira Ricardel, writing she "no longer deserves the honor of serving in this White House." White House sources told ABC News the first lady felt Mira Ricardel had treated her staff disrespectfully in the planning of her trip to Africa. First lady Melania Trump isn't hitting the trail ahead of the midterms. Melania Trump's flight was forced to return to Andrews Air Force Base after communications equipment began to overheat. Melania Trump boarded a smaller aircraft to make her trip to Philadelphia. First lady Melania Trump's flight to Philadelphia was turned around after "a malfunctioning comms unit" that had overheated. First lady Melania Trump is safe after a plane she was traveling on had a "minor" mechanical issue. Melania Trump, maybe America's most private first lady ever, opens up in an exclusive interview with ABC News. First lady Melania Trump is brushing aside allegations of infidelity on her husband's part, telling ABC News that she has no time for what she calls media speculation. 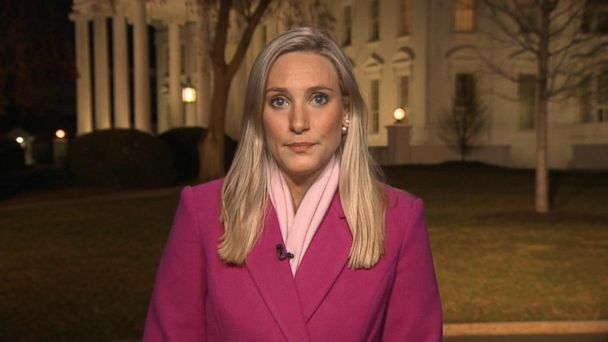 First lady Melania Trump tells ABC News that she distrusts some members of her husband’s administration, including some currently serving in the West Wing. Melania Trump's trip is seen as a bright spot in the administration’s relations with Africa, which were dampened by the president’s previous disparaging remarks. When asked if the #MeToo movement can call her a supporter, Trump said, "Women, they have always my support. I feel that women and men-- they should be heard. And we should all be treated equal." "I believe in the policies that my husband put together. Because I believe that we need to be very vigilant who is coming to the country," Trump told ABC News' Tom Llamas. She also says how being one of the most bullied people in the world led her to take action. Melania Trump says there are people who still work for her husband that she believes he can't trust. 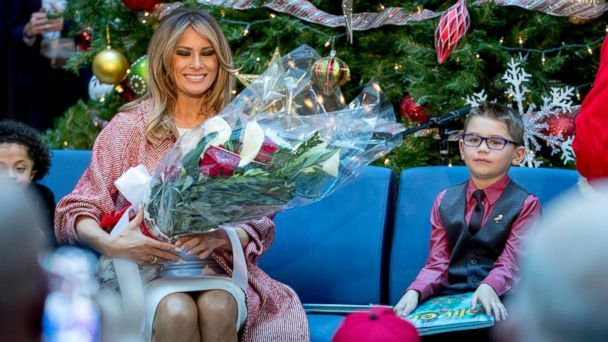 Melania Trump sat down for her first extensive sit down interview since becoming first lady with ABC News Chief National Affairs correspondent Tom Llamas. The first lady said in an exclusive interview that she had more important things to think about and do. In a rare 1999 interview with ABC News, the first lady, who went by the name Melania Knauss at the time, discussed prenuptial agreements, being first lady and more at a photo shoot. In an exclusive interview, the first lady tells ABC News' Tom Llamas that many speculate about her marriage. In an ABC News exclusive interview, first lady Melania Trump shares her views on cyberbullying, MeToo movement and some members of her husband's administration that she says can't be trusted. The first lady tells ABC News' Tom Llamas she stands with women but "you need to have evidence" to accuse someone of sexual assault. Melania Trump opened up on her husband's Twitter habit during her landmark trip to Africa. Melania Trump took questions from reporters as she wrapped up her first foreign solo trip. 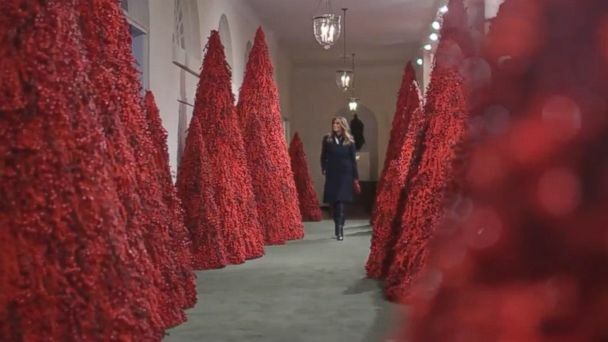 The first lady also told the press she wishes there was less focus on her fashion choices. She is in Africa on her first solo overseas trip as first lady. The first lady did not say directly whether she believed Christine Blasey Ford. The first lady to sit down with Tom Llamas during her trip to Africa. Melania Trump placed a wreath and signed a guest book during her solo tour of Africa and visit to Cape Coast. The first lady will focus on promoting health care and education programs during her visit to Ghana, Malawi, Kenya and Egypt. Melania Trump departs Monday for Africa for her first major solo international trip as first lady. A spokesperson for the first lady said she will visit "several countries."